Panhard, French army licence registration '6054 0117' photographed early in the morning near Arc the Triumph, in preperation of the parade for Bastille day, France, Paris. 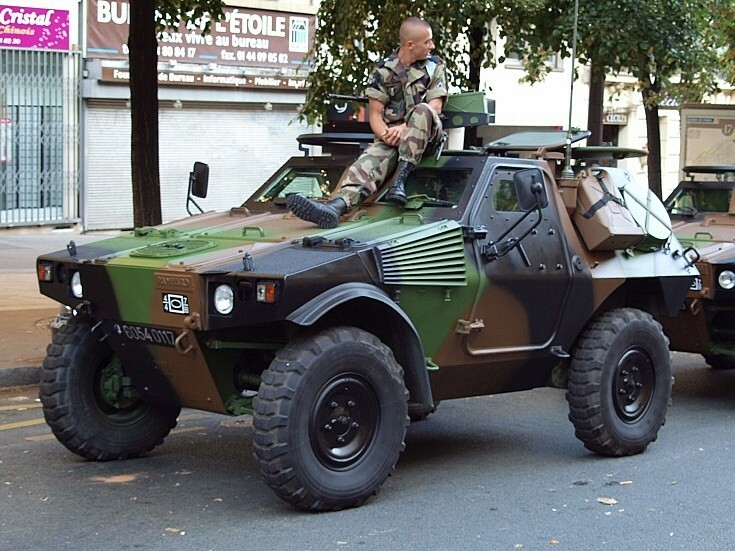 In French VBL is Véhicule Blindé Léger, or armoured light vehicle in english. It's use for reconnaissance, command car, liaisons duties, patrol, and sometimes antitank with Milan's missiles. Added by Lambert Arnaud on 24 August 2010.